Rimmel has just introduced four new products to its 'Scandaleyes' eye range; a 'Reloaded' mascara in two shades and two 'Scandaleyes' liquid liners. Reloaded is said to be an extreme volume, long wear mascara that is easy to remove without leaving any traces behind, while the new liquid liners offer a 'Thick & Thin' and 'Micro' option. 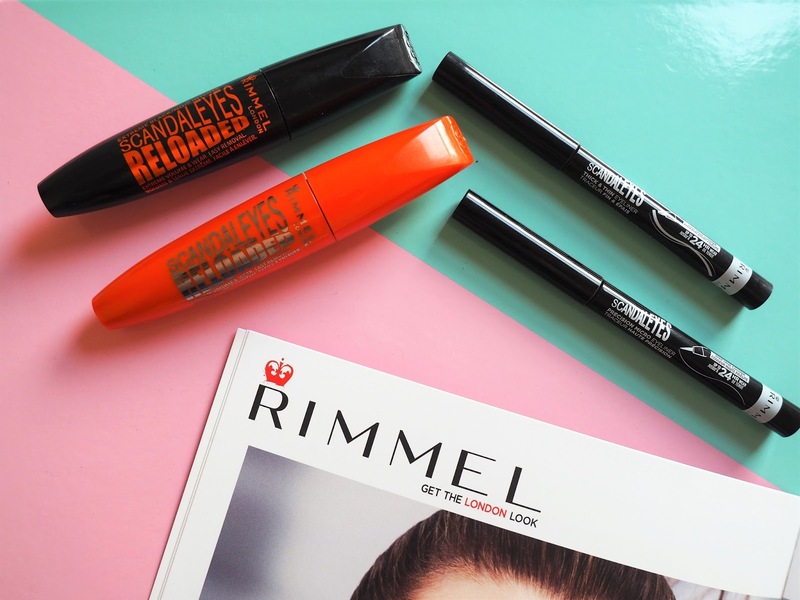 I have always been a fan of Rimmel as a high-street makeup brand, particularly their eye and lip products, as they are reasonably priced while still providing reliable quality. The 24-hour wear mascara is claimed to be sweat, smudge and humidity proof while providing 11 times more volume than the original version. For me the new max-density brush is definitely a plus. It is very thick and captures every lash while building up volume and definition. 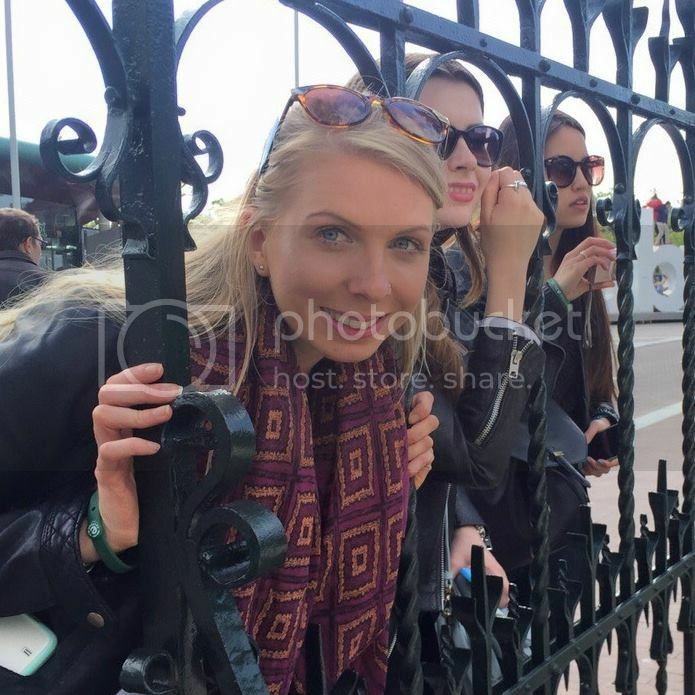 The colour is also a very intense black, which I always like as I have very fair lashes. While I am pleased with the results, I'd say the only negative is that the formula is quite wet so it does have a tendency to transfer on to the top of my eyes and lower lash line. That said, it did stay put throughout the day and was easy to remove. There are two shades available; Black and Extreme Black, and it costs £6.99. 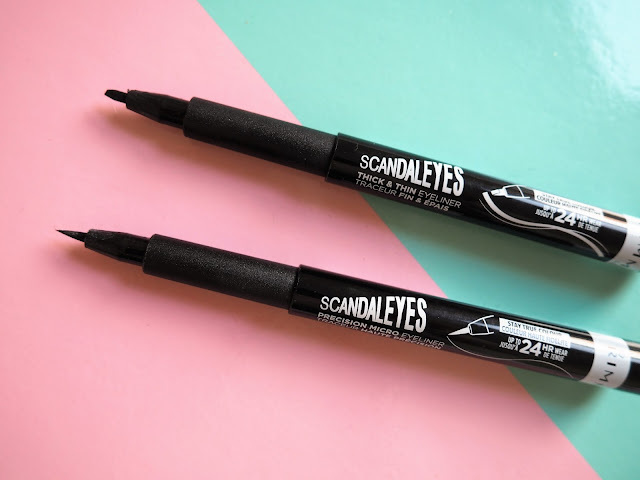 The Scandaleyes liners (£5.49) are by far my favourite addition to the new collection and make applying eyeliner extremely quick and simple. The 'Thick and Thin' is a felt-tip pen style with a 3D slanted end that enables you to draw a thick or thin line depending on how you hold it. The 'Micro' pen has an ultra-thin tip that lets you draw precise lines to define your eyes. Again these were very long lasting and didn't budge during a long day or sweaty gym session.